Grover Cleveland is the forgotten conservative: a man of dignity, integrity, and courage often overlooked by the history books. Historian and author John Pafford reveals a president who deserves more attention. Cleveland might not have presided over deeply troubled times, but he set a standard for principled leadership in office that is especially relevant today. 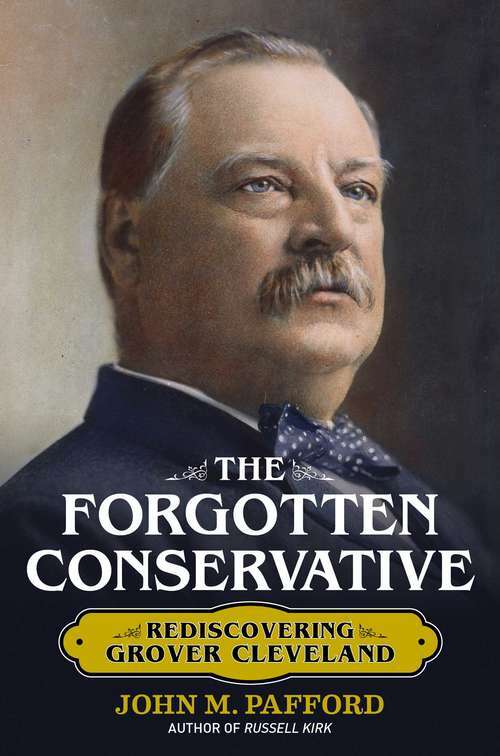 In The Forgotten Conservative: Rediscovering Grover Cleveland, Pafford tells the story of how Cleveland, as the mayor of Buffalo, fought corruption and eliminated taxpayer funding of projects that he considered outside the purview of government. Cleveland was nominated as the clean candidate for governor of New York in the era when Tammany Hall still pulled the strings of many politicians. Once he became governor, he fought hard for civil service reform, rejecting the "spoils system" that had created so much corruption in state government. A man of strong faith and principles, he brought his reform mentality with him to the White House. Today, Wisconsin's Scott Walker and New Jersey's Chris Christie are making headlines with their efforts to reform the civil service behemoth and clean up the government of their states. Perhaps one of their greatest leadership examples should be none other than the forgotten conservative, Grover Cleveland. As president, Cleveland was fiercely pro-business, promoting many policies that would set conservatives' heads nodding today: eliminating subsidies, reducing tariffs, and tackling cronyism. He slimmed down the bloated civil service, and established a reputation of fairness and bipartisanship in his appointments, respecting members of both parties who did their work well. But most importantly, he was an example of a great leader, respected and remembered by all for his reputation for honesty, integrity, wisdom and hard work, setting a standard that remains to this day.